Microprismatic tape is a high performance retroreflective tape with a retroreflective performance of 5 years. Heskins have had it available in the US for a while now, with it becoming quite a popular product due to its cost effective high performance. Now Heskins have made it available in the UK for their customer base in Europe. Microprismatics retroreflective performance is due to the micro-engineered 3 point prisms which cover its surface. These prisms reflect the light source in such a concentrated and precise way that 80% of the light will reflect back at the source. Due to this cone of light being more concentrated, visibility is increased day or night. To help define Microprismatic tape from standard reflective tape, it is also known as EGP reflective grade (engineering grade prismatic), which nods to its excellent 5 year retroreflective performance values. 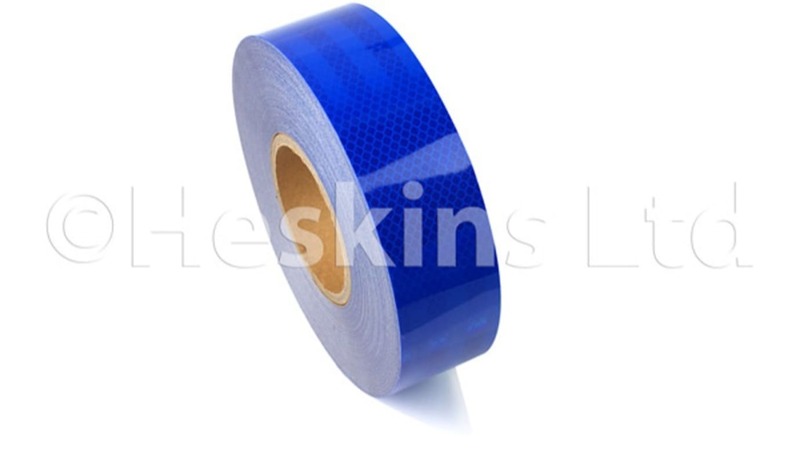 Heskins offer Microprismatic tape in blue, green, red, orange, white and yellow and can produce it in widths from 19mm to 1210mm and lengths up to 45 metres.